I study this crazy thing called CRISPR, that’s hot right now for its applications in biotechnology. My research falls on the opposite end, I want to know why CRISPR evolved in the first place. It’s only found in simple, single-celled organisms like bacteria and they use it to protect themselves against the viruses that infect bacteria, known as bacteriophages. My research has looked at this immune system from a few different angles. I’ve studied how the flexibility of this immune system impacts its dynamics with the virus. I’ve also looked at the coevolution of populations of this bacteria as they attempt to gain an immune advantage over an evolving virus. What sets Weill Cornell apart from other institutions? When I was visiting graduate schools, I really focused on getting a sense for how the current students felt about the school they attended. In other places, they seemed exasperated with their lab work, frustrated by the university and disconnected from their peers. 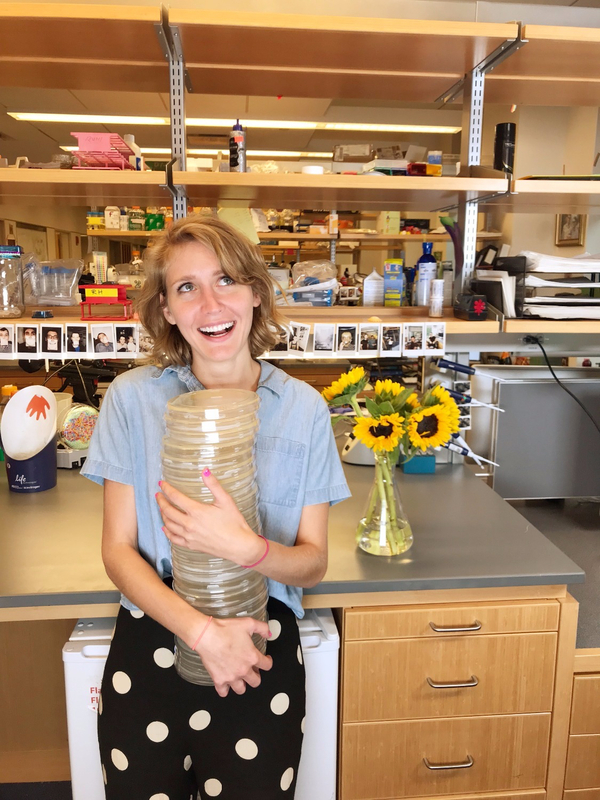 At Weill Cornell, it felt like the exact opposite––students were genuinely happy about their research and were excited to talk to the interviewees about their life at the university. Along the same lines, the professors were more collegial and passionate about the students. What is your proudest accomplishment at Weill Cornell thus far? It’s hard to pick a favorite memory from lab, but one of the best moments happened last summer. I had this crazy hypothesis I wanted to test about how the viruses I am studying might be interacting with bacteria. I thought of a quirky assay to test my hypothesis, entirely expecting that either the assay would fail or that my results to be impossible to interpret. One Sunday morning, I went to the lab to try it out––I was shocked when I got this clear, beautiful result showing that my hypothesis was correct. It’s probably the most elegant experiment I have ever performed. What advice would you offer to other graduate students? Be confident in yourself. Sometimes it feels like there is so much science in the world to learn. As an incoming graduate student, you might be a lot less knowledgeable than the other students. However, with time and the training we receive, my peers and I have become skilled researchers. Knowing that the program and graduate school leadership are here to support and help us foster the talents and intelligence that we already had had eased our worries about grades and rotations.